I am currently working on an album called ‘Homage to Grämlis’ which tells the story about my upbringing on a beautiful dairy farm in Switzerland. It includes traditional Swiss yodel sounds, cow bells, accordion and possibly alphorn fused with all the musical influences (Gospel/R’n’B/Soul/Jazz etc) I have been exposed to during my 10 years of living as a freelance musician here in the United States. There will be 6-8 musicians involved in this project who all pursue their own careers, some from different parts in the world and eager to share their knowledge in combination with the purpose of this album. Nature has always been a huge part of my life and educational work about the cycle of food, nutrition combined with social work to build a better sense of community are major goals in my life. The passion of music and caring for others built up more and more within me, so that as a little girl, I had my dream to become a singer to save the world. I would like to share the story of my family – the work of my parents as farmers in Switzerland that changed the lives of a huge community. Food is a central part in our lives. Some have too little, some have clearly too much of it. My parents provided fresh food, a pet zoo and school classes were taught right there on the fields and in the stable. Their work taught many school kids where the milk really comes from, they planted trees as a sign for life that continues and squeezed the juice out of fresh apples in the fall to complete the cycle of seasons. Today we distance ourselves more and more from nature. As a result of having a small family farm (and mind you: this is in Switzerland with all its benefits) and struggling for years, my parents had to end their farm business before retirement age and my Dad had to find another job. It is very sad to have to observe how bigger companies are about to take over everywhere in the world they can find something resourceful. My album tells various personal stories that people will be able to learn from with today’s global issues such as ‘hunger versus luxury’, ‘organic food versus processed food’, ‘farm life versus city life’ etc. In the end it all comes down to: healthy food > healthy bodies > healthy souls. Giving concerts with the new compositions of this album will be a major part of this project. I am working now on booking a tour for spring 2020 in Switzerland and summer/fall 2020 in the East Coast of the United States. Through my new music, I have a feeling I will be able to come a step closer to my mission as a musician. Sharing my early life story in such a beautiful musical context can hopefully open some hearts for people in difficult situations. JOIN THE GM CLUB TODAY! The musicians and I are working hard to make this album become alive. Your support would truly help to make this dream come true to finally tell the story of my wonderful upbringing on a beautiful farm in Switzerland and the livelong community work of my parents. I created 'GM club' for that reason. You can become a member or simply contribute with whatever amount you are comfortable with. As a member, you are invited to a free exclusive concert evening each year. Gabriela grew up jodeling with her family and had performances as early as the age of 4. 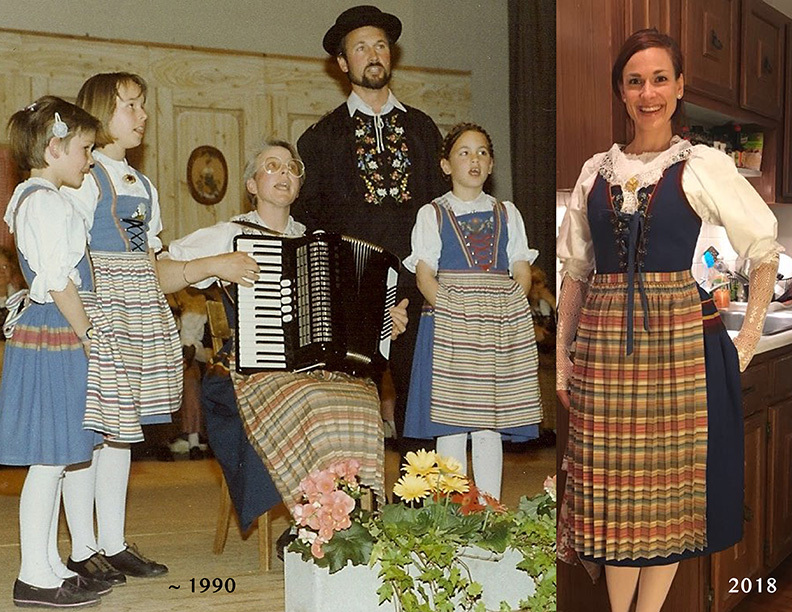 Being raised on a beautiful farm in the heart of Switzerland surrounded by a musical family has influenced her musical path strongly. Martina’s upcoming album Hommage to Grämlis, is a tribute to the farm in the Swiss Alps where she was raised. The first video single Song for My Father is now available here. Another new piece, ‘Mother Mary’ was released just recently and touches the ground of her catholic upbringing back home in beautiful Switzerland. Nearly a century later, F. Scott Fitzgerald’s 1925 quintessential novel of decadence in a bygone era continues to inspire generation after generation. Folks who are looking to throw an unforgettable, opulent soiree that harkens back to the roaring 20s can do no better than to hire out authentic Jazz Era trio aptly named The Gatsby Trio. The Gatsby Trio plays music from the 1920’s era (including flapper music), Blues (Bessie Smith, Dinah Washington, Ethel Waters), hot jazz danceband music and New Orleans/Dixieland Jazz. Gabriela Martina and Maxim Lubarsky, two highly versatile musicians are always willing to dive into the unknown. Putting a new spin on familiar songs, they will take you on a journey through the roads that have never been traveled. Touchstone is an all-women jazz band playing original tunes with an emphasis on free improvisation lead by violinist and composer Elinor Speirs. Touchstone is based in Boston and New York City. Josh Rosen has performed/recorded with jazz greats Joe Lovano, Mick Goodrick, George Garzone, Greg Hopkins, Bob Moses, Stan Strickland, Phil Grenadier, John Lockwood, Dennis Irwin, Steve Slagle, Bennie Wallace, George Schuller, The Either/Orchestra and Ethiopian master musicians Mulatu Astake and Mahmoud Ahmed, among many others. A pianist and prolific composer, Rosen has released 5 albums, with several projects currently in production. Released to wide acclaim, “American Waltz”, featured masters George Garzone and Mick Goodrick. Collaborating with multi-instrumentalist and vocalist, Stan Strickland, Rosen produced the creative and intimate album ”Instinct". 2016 saw the release of another duo project, “Brothers”, with Ralph Rosen on harmonica and drums. In addition to keyboards, Josh played bass and guitar. Fall 2017 marked the release of Rosen’s Jazz Chamber project “Sparks”, featuring cellist Eugene Friesen, Strickland and drummer Mark Walker. The CD was honored to be included in the Grammy nomination list. The most recent is CD is another duo project: “The Music of Paul Motian and…” with legendary avant-garde bassist John Voigt. Rosen is active in numerous other bands: the Quartet with Strickland, the Trio with Bob Moses; the cutting edge jazz collective, "The Outnumbered”; the electric improvisational group “Adventures in Sound”, featuring guitar maverick David Tronzo; and a funky improvisational stew called “The Melting Pot”, which blends mind blowing vocals, sax/guitar jams, and psychedelic keyboards to create a new free form dance concert. Rosen is Professor of Piano and Ensembles at Berklee College of Music, now in his 23rd year. An international clinician with a Masters Degree from New England Conservatory, Rosen studied with pianist Fred Hersch, and composers William Thomas McKinley and Robert Cogan. He has composed music and sound design for numerous film and media projects. In Momentum concert serieswas born in October 2013 and since then has held two concerts each month on a regular basis, presenting different musicians from all-over the world. The concert series is led by vocalist Gabriela Martina and drummer Giuseppe Paradiso.